Did you know that at one point, the elevator was looked at with the same amount of suspicion that the self-driving car faces today? What’s even more interesting is that ‘driverless’ (in other words, without a human operator) elevators have been around since the 1900s. 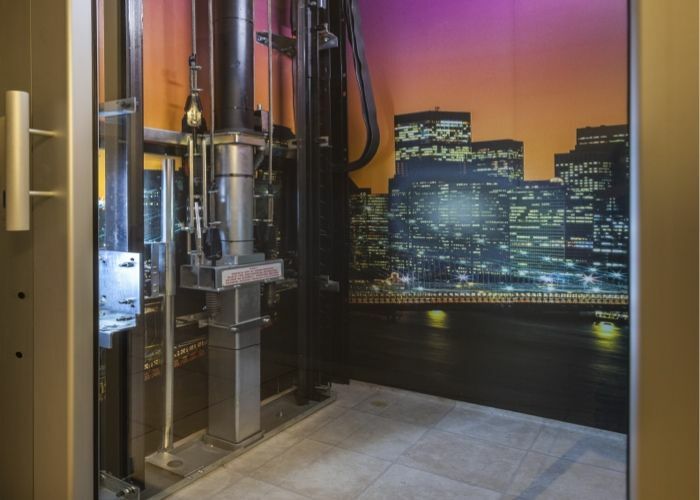 It’s only after decades of safety improvements and public education that elevators have become as commonplace as they are today, and these days they’re so trusted you can even have one installed at home. Plus, you can even have a phantom or ghost door to ensure you’re the only one that knows of its existence. If you’re wondering how safe this option is, here are just a few of the many safety features home elevators offer. The safety features of a home elevator start with allaying the most common fear that people have –that they’ll get stuck in a lift and that nobody will know where they are. In case of a power cut, you’ll have emergency lighting as well as a telephone and emergency button to alert the authorities. Plus, with our GeckoOS software, there is 24/7 monitoring of your elevator in the case of faults. While an out of control elevator is a common feature in movies, in real life this is unlikely to occur. Most elevators come equipped with an over speed-sensing safety gear, which means that should the elevator ascend or descend faster than normal, the gear will employ to slow or stop it automatically. It’s two-speed drive system also ensures that it will accelerate and brake gently and with as little vibration as possible. A prematurely closing door is something we’ve all experienced at one point or another. Modern elevators have full height light ray car safety entrance protection. This means that there are sensor beams from top to bottom to eliminate the risk of any limb or body part getting trapped. As your elevator goes up and down the shaft, with an integrated automatic emergency lowering battery system, nothing will get in its way. Should a malfunction or power cut occur mid-trip, battery power will kick in so that the lift can reach its destination and safely eject passengers before it becomes non-functional. Invest in a home elevator from a reputable supplier and you’ll enjoy its convenience and safety for a lifetime. Contact Easy Living Home Elevators today for more information!